Young blood: Can controversial treatment stop aging in its tracks? 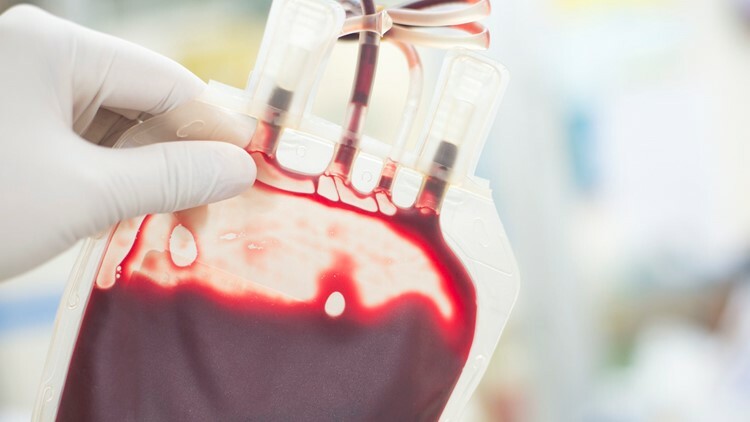 It sounds like something out of a vampire movie but tranfusing blood from young people to help turn back the clock for older patients is a real deal. And it's available in Houston. The secret to eternal youth may might lie in the blood of young people. Young blood transfusions may hold promise, but they're controversial and they come with a hefty price tag. The treatment costs $8,000 for one liter or $12,000 for two. Dr. Jesse Karmazin told CBS New York the “young blood” may turn back the hands of time. He claims human subjects who’ve had it say they feel amazing and that he’s seen evidence of reversing the aging process in rats. “They’re actually younger in sort of every way. Their brains are younger, their hearts, their hair – if it was gray it turns dark again,” the doctor claims. Dr. Sharon Sha is a Stanford researcher who says they have seen evidence of improvement in functional ability for Alzheimer’s patients who receive young blood. “It’s all very exciting that there can be components in blood that can be healing,” Dr. Sha told CBS New York. “We found that it was safe and feasible to administer infusions of young plasma weekly,” Dr. Sharon Sha explained. In a report released last week, the Journal of American Medical Association cited a study of Alzheimer's patients. JAMA concluded the transfusions appear safe and warrant further studies with a larger test group. “Scientific evidence has shown human-to-human plasma transfusion come with associated risks,” said Dr. Hooman Khorasani who supports plasma injections for patients using their own blood but advises against any human-to-human plasma transfusion or subcutaneous injections for elective cosmetic purposes. “Plasma transfusions, in particular, increase the rate of exposure to pathogens and immunologic and autoimmune reactions,” Dr. Khorasani told CBS New York. Experts agree. There is still more research that needs to be done regarding the effectiveness of young blood transfusions.